Joanie Laws was born in Mount Holly, New Jersey and moved with her family to the North Carolina High Country in 2006. 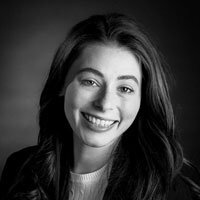 In August 2015 she joined The Mountain Group as a broker assistant, with a goal of embarking on a career in luxury real estate. Joanie has established herself as an invaluable member of The Mountain Group with an outstanding work ethic and talent for real estate sales and marketing. Joanie is passionate about children, hiking, music and animal rights, and regularly volunteers for numerous local causes, including serving on the Board of Directors with the Avery County Humane Society. She is very committed to growing her career and making The Mountain Group at Premier Sotheby’s International Realty a leader in the local luxury marketplace.